There are two ways to approach your budget. The most popular method is to examine your income, then cull your spending until it aligns with your income. A less common - but equally valid - approach is to decide how much money you want to spend each month, then force your income to match your expenses. Let's look at the pros and cons of both of these approaches. I've written extensively about the 50/30/20 budgeting method, which was proposed by Harvard economist Elizabeth Warren and her daughter, Amelia Warren Tyagi. They say that people should devote 50 percent of their income to "needs," 30 percent to "wants" and 20 percent to savings and debt reduction. This budgeting method starts by looking at your income - "How much do I make?" - and basing your spending choices from that baseline. As I said, this income-expense approach is the most popular budgeting choice. Pro's: Ensures that you live within your means. Con's: Focuses on cutting costs (scarcity, deprivation) rather than increasing income. This can feel like a diet: it's tough to stick to. Best for: People who have a stable, steady income. Now, let's assume that you currently earn only $4,000 per month. The question that pops into your head, at this stage, should be: "How can I earn an extra $1,500 per month?" Perhaps you'll decide to earn extra money on the side. For example, freelancing 50 hours per month (roughly 14.3 hours per week, or two hours a day) at $30/hr will bring you an extra $1,500. Perhaps you'll start looking for investments that can bring you part of that money. You might, for example, decide to buy a rental property that produces $200 per month in "net positive cash flow" (the money left over after paying for all expenses). Perhaps you'll even decide to start looking for a new job with a higher salary. 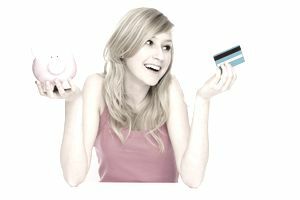 The bottom line is that by using the expense-income approach (rather than the income-expense approach), your attention shifts away from "trimming your bills" and towards "generating more money." That's a powerful mental shift. Secondly, avoid lifestyle hyper-inflation. Most people spend every pay raise. Both your spending and your savings should increase proportionately with each pay increase. Notice that in the example above, a savings rate totaling $1,800 a month -- $1,500 in "savings" plus a $300 "car payment to yourself" -- is incorporated into the income goal. Pro's: Shifts your attention to making money rather than cutting costs. You begin with a list of the things that you want to do. Then you figure out a way to make that happen. Empowering and opportunity-centered. Con's: It can lead to lifestyle inflation unless you're earmarking a strong percentage of your income for savings. Best for: People who are excited about new opportunities. People who have, or who want to have, multiple streams of income. When I created the budgeting worksheets, I listed "Figure Out Your Income" as Step One. I choose to do this because examining income - rather than expenses - is the most common way that people approach budgeting. However, the "most common" way is not necessarily the "best" way. I've spent years discussing budgeting and money management with people across the nation, and I firmly believe that there is no single "best" method. Personal finance is personal, and you need to choose the method that suits your personality and style. The method you choose is less important than the result you achieve.